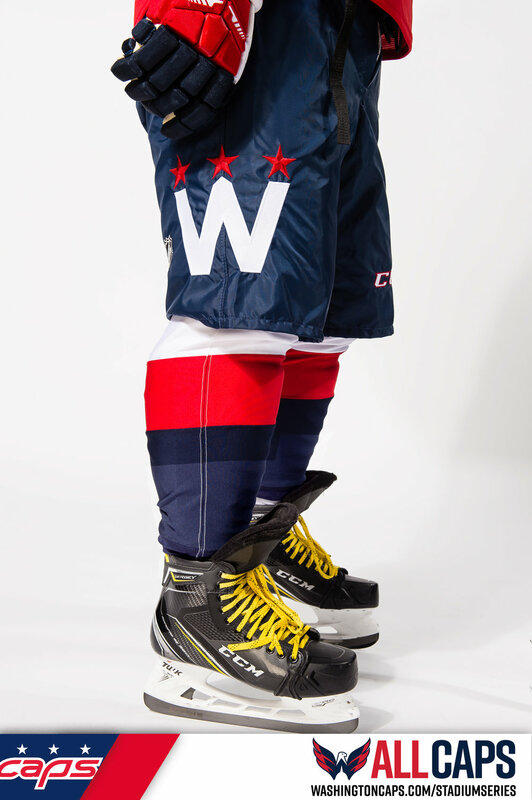 The Capitals and adidas Hockey have unveiled the 2018 Stadium Series uniform that we will see the team hit the ice in on March 3rd against the Maple Leafs at the Navy-Marine Corps Memorial Stadium. This look keeps true with the Caps classic identity but pays tribute to Annapolis, MD. This will be the first time the Capitals will wear a navy blue uniform in the history of the organization. On the chest you will find the team's nickname "caps" created in the same style as their current wordmark. Above the caps logo on the chest you will see 3 stars to pay tribute to the Washington D.C. flag. We see the 3 stars again on the pants but this time above the "W" logo. 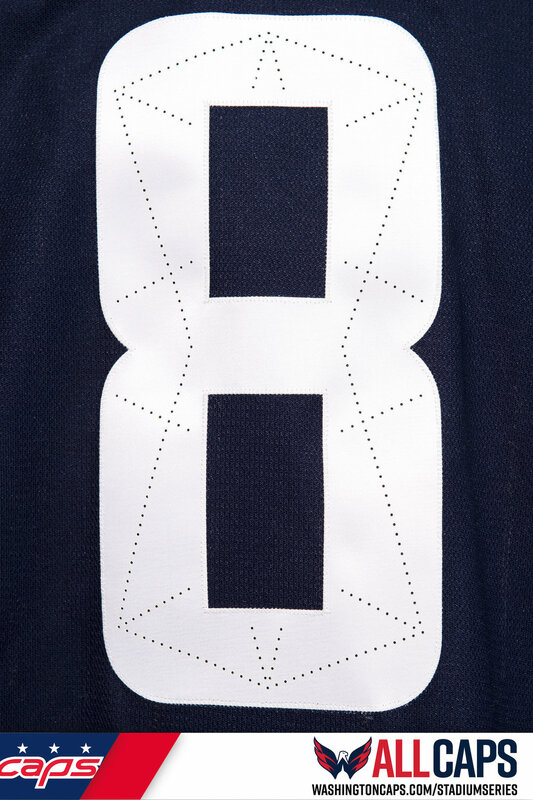 "As a historic tribute to team's hometown, the numbers are accentuated with a perforated pattern based on Pierre L'Enfant's original grid plan for the city of Washington D.C. A strong white shoulder yoke serves as a nod to the classic stars & stripes from the clubs' past uniforms and the thick red stripes and hem stripes evoke thoughts of the city flag of Washington D.C. " - Capitals.